Mortgage Abuse and Wrongful Foreclosure Attorney - FREE Help! Your Mortgage Company is regulated by multiple federal laws including the Real Estate Settlement Procedures Act (RESPA), the Truth in Lending (TILA), and the Equal Credit Opportunity Act (ECOA). Call an experienced wrongful foreclosure attorney who understand the law and can protect your interests. Don’t be a Victim of Wrongful Foreclosure by a Mortgage Company! If your mortgage lender does not follow the laws that govern accounting for and collection of mortgage loan obligation, you could be the victim of a wrongful foreclosure lawsuit and lose your home. Fortunately, the law provides powerful protections and remedies to borrowers who are the victims of mortgage servicer mistakes and misconduct. A Clinton County, Missouri, circuit court judge ordered a $3.25 million judgment against Wells Fargo and Freddie Mac for wrongfully foreclosing on the home of borrowers David and Crystal Holm. The Holms argued to the Court that Wells Fargo promised to stop the foreclosure with a reinstatement agreement, but after the borrowers gathered $10,000 for this purpose, Wells Fargo “deliberately ignored the reinstatement deal” and in an “egregious and deceitful manner” proceeded with the foreclosure sale of the Holm property to Freddie Mac on the very same day, according to the court’s opinion. 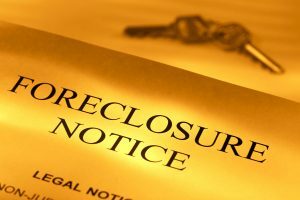 The judge ruled that the foreclosure sale was wrongful and awarded compensatory damages of $52,000, according to the opinion, ordered $200,000 in emotional distress damages for the borrowers and their child living with the “fear of losing [their] famil[y] home” for six years causing health issues and stress on their marriage, and for Wells Fargo’s “unfathomable,” “outrageous and reprehensible” actions of reneging on the agreement “from a position of superiority” by “expend[ing]…”incomprehensible, time and effort to avert reinstatement,” ordered nearly $3 million in punitive damages and further ordered all legal fees to be assessed against Wells Fargo and Freddie Mac. 30 days after you are in default, they must send you an Act 6/91 notice explaining the amount and items of default. 30 days following the Act notice is a time in which you can seek credit counseling and apply for emergency loan assistance. Only after these steps have taken place and no default remedy is achieved can the mortgage company sue you in foreclosure in a complaint naming you as a defendant. In Philadelphia and some other counties in Pennsylvania, you can attend conciliation program conferences before responding to the complaint to resolve your default through forbearance, loan modification, etc. with the assistance of government fund housing counseling agencies. Under the CPFB rules, the legal foreclosure process can’t start for an additional sixty (60) days thereafter. If you are not able to get relief during a Philadelphia conciliation process with the help of a housing counselor, you must hire a lawyer to answer the foreclosure complaint to avoid a default judgment being taken against you. Because there is a foreclosure process, mortgage companies can’t lock you out and take possession and control of your home and personal property until that process s complete and the title to the home is taken from the borrower by sheriff’s sale. Unfortunately, mortgage companies for various reasons do not always follow this process and prematurely lock out borrowers and dispose of their property. Often they will hire third party contractors to perform this task improperly. In June 2015, the Illinois Attorney General reached a $1 million legal settlement with Safeguard Properties, the biggest industry player, after suing the company for illegally barring people from their homes during the foreclosure process.